How to grow Perpetual Spinach. 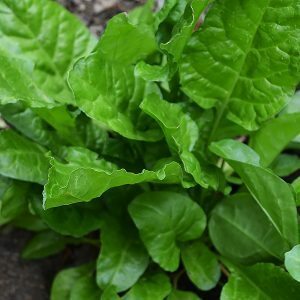 Perpetual spinach or ‘Spinach Beet’ is a member of the Chard family however, it is closer to spinach in flavour and easier to grow. It gets its name from its continuous cropping, and in its first year it does not bolt. At the end of the second year it is best to replace the plants. It will grow in warmer climates, as well as through the year. Best harvested on a regular basis. Eat it fresh when the leaves are young, older leaves can be cooked and eaten. Excellent in a stir fry. Best grown from seeds, Perpetual spinach can be planted from late winter through to early summer and from late summer to autumn. Seeds are best planted directly and then thinned. Ideally plants will be at around 20 cm (8 inches) apart. Sow in rows at about 30 cm apart (12 inches) and then thin the seedlings in each row. You will need to keep the soil moist for best results and continual picking of leaves is the recommended method of harvest. The young leaves are the best so pick regularly. This will encourage more new growth. Fertilise with a nitrogen rich fertiliser. You can grow this easy care plant from seedlings if needed. Look for smaller seedlings and transplant them into the garden or a container in early spring. Try not to damage the root system. Companion plant with beans, tomatoes and other leafy greans.